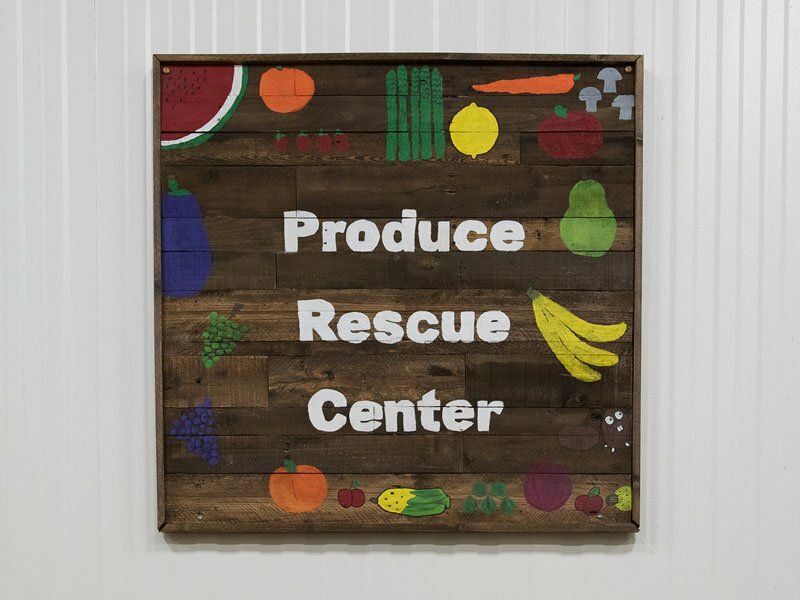 We are proud to unveil our newest program, the Produce Rescue Center, to encourage environmental and nutritional best practices at your community Food Bank. 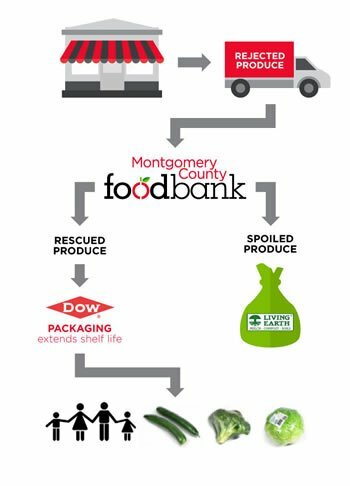 With a generous $250,000 grant to be dispersed over three years from Dow Chemical, this pilot program will provide nutritious produce not only to Montgomery County, but to other food banks in Texas as well. How does it work? 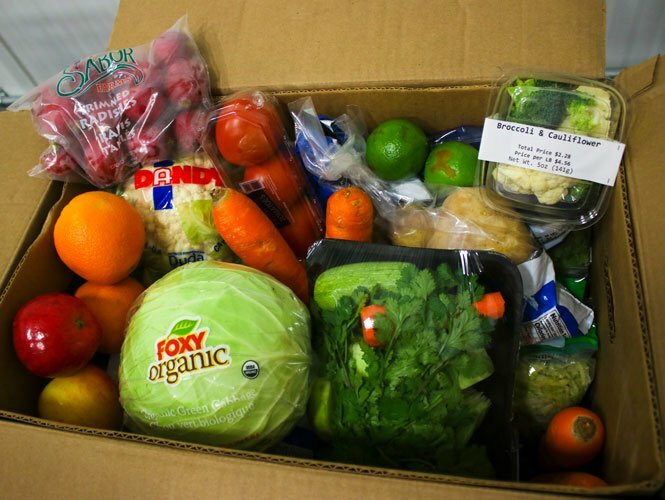 The Produce Rescue Center diverts truckloads of produce that were on their way to the local landfill to the Montgomery County Food Bank instead. These trucks carry produce that was rejected by local retailers or wholesalers for various market reasons. However, experience has shown us that these same trucks are normally at least half-full of completely safe, wonderfully delicious fruits and veggies. Our team separates the good from the bad, and sends what will not be consumed to Living Earth to be turned into nutrient-rich compost. This program provides a win for both the produce grower and the typically nutrition-impoverished food insecure in our community, as fruits and vegetables end up on a local family’s table instead of in a landfill for a fee. Additionally, this program helps the environment by directing matter that would be lost in landfills into compost that helps grow more plants, trees, and maybe even more produce for the community. In November, we began a pilot program to provide a monthly distribution of one bag of produce to all 800 kids at C.C. Hardy Elementary School. The Ark Church, parent volunteers, and the fifth-grade class handed a bag of shelf-stable produce to each child as they went home one Friday. In the future, we would like to include with each bag some nutrition education materials, and of course, we hope to expand the program to other free- or reduced-lunch schools. This was a great experience that furthers the mission of the Montgomery County Food Bank – to provide the highest level of nutrition to the food insecure in our community. We are working to improve our Produce Rescue Center and to increase our produce distribution, but we can’t do it without you! As with most of our efforts, we rely heavily on the help of our volunteers. Frank Shuster– President, Val Verde Vegetable Co.
Retail Rescue A partnership between MCFB and area grocers that allows for the safe donation of meat, dairy, deli, produce, bakery, and frozen grocery products that the retail stores have onsite or at their DC but will not be stocked for sale. Our partners here include Walmart, Sam's Club, HEB and Kroger to name a few.